$3979 per person sharing for land and air Group size limited to 26. Join AC/PASR and Harrigan Holidays on our British Invasion tour to see where some of your favorite British movies, shows and authors have hailed from. Visits to the Sherlock Holmes Museum, Shakespeare’s Globe Theatre, Tower of London, Windsor Castle, Jane Austen Centre, Number One Royal Crescent, Roman Baths, Cheddar Cheese Company, Tintagel Castle, Tintagel Brewery, Winchester Cathedral , Winchester Castle, and Osborne House are included on tour. Walk in the steps of Charles Dickens, Inspector Morse, Jane Austin and Doc Martin. Visit the charming villages featured in Midsomer Murders. Visit the Chatham Docks where Call the Midwife, Sherlock Holmes, Les Miserables, Mr. Selfridge and more were filmed. Have English Tea at Dolly's in Selfridges Department Store and at the Jane Austin Centre. For complete itinerary click here. Click here for registration form. Join Meghan and Harrigan Holidays for a brand new Wellness Trip with GAdventures To Costa Rica. This 8 day trip will allow you to discover awe-inspiring destinations combined with rejuvenating activities like yoga and meditation and healthy food experiences to recharge the body and nourish the mind. Activities include Stand-Up Paddleboard yoga on Lake Arenal, air hiking in La Fortuna, rejuvenating volcanic mud exfoliation, surf lessons, a visit to the Mi Cafecito Coffee Cooperative, and much more. Be one of the first to experience this amazing trip. Price for the trip includes all lodging and transportation in Costa Rica, daily breakfast, 2 lunches, 3 dinners, daily activities and excursions, and a private guide during the trip. For more information click here. Click Here for registration form. This 7 night cruise is aboard the AMAVIOLA and is specially priced at 25% less than published rate. You have to option to add one of two pre-cruise land programs. 3 nights in Prague or 2 nights in Munich. 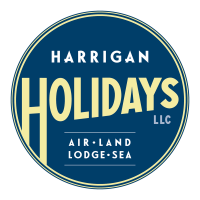 Click here for itinerary & pricing. Click here for inclusions. 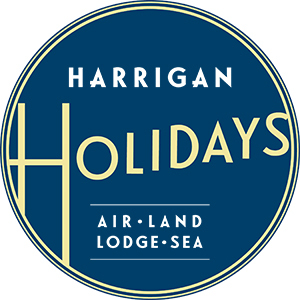 Email kathy@harriganholidays.com to be notified as soon as tour is available. We are looking at May 2020.